Recall the discussion of Jungian psychological types in part 39 of this analysis. Top left: A scene from the beginning of The Silence of the Lambs: At the movie's beginning, Clarice Starling's psychological type is introverted feeling; as discussed in part 39, she is later 'converted' to an introverted intuitive type. 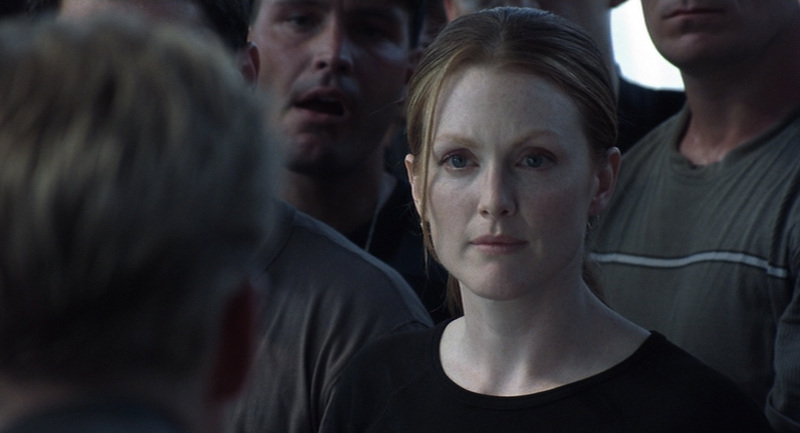 Throughout the movie, she is an introvert. Top right: Hannibal Lecter is an extraverted thinking type. 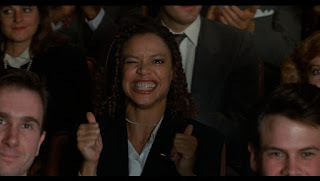 Above left: Ardelia Mapp displays this 'extraverted' congratulatory gesture toward Starling at the FBI graduation ceremony. Some of the key people involved in the undermining of Starling (e.g., Lecter, and Ardelia) are depicted as being more extraverted than Clarice. The Silence of the Lambs is thus, in part, an 'allegory' for how our extraverted Western society tends to work against introverts. Above right: Starling takes command of the drug bust operation in Hannibal, the sequel to The Silence of the Lambs. The 'corruption' of Clarice's soul coincides with her becoming more extraverted. (As stated in the previous post in this analysis, the fact that Ardelia is giving Clarice a congratulatory gesture at the ceremony, does not mean that she has been working on Clarice's side; she is here simply going out of her way to pretend that she has been on Clarice's side all along). 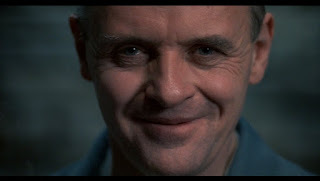 By the end of The Silence of the Lambs, Starling has become Lecter's Jungian opposite (in terms of psychological types). Also, as described earlier in this analysis, Clarice has assimilated Gumb, her 'moral opposite', with this symbolizing the Catholic Church's assimilation of evil.